Creager Studios - "Maria Martinez"
One of a kind art doll, hand painted Quality Polymer Clay, approx. 13" tall. 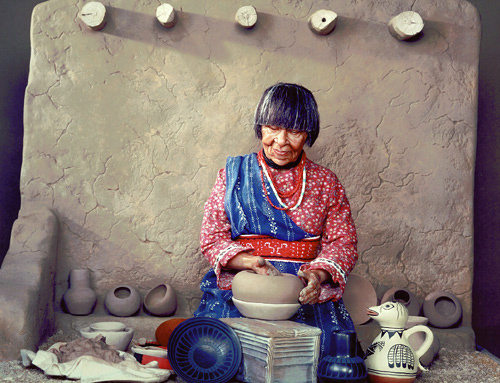 from the earth, she gave this world some of the most beautiful Native American Art. paper clay and armature to resemble Adobe.